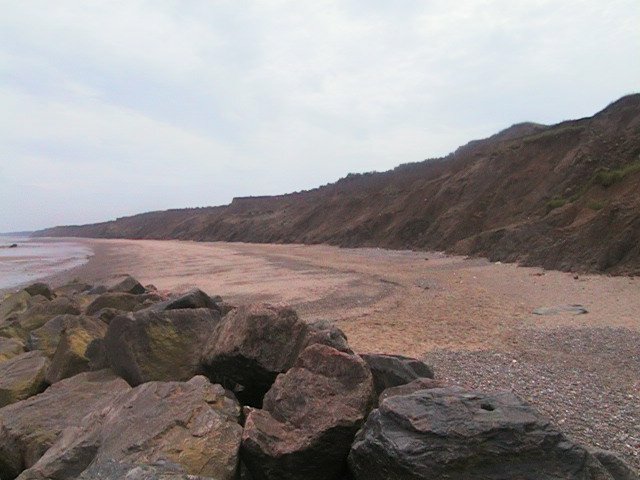 Situated approximately 3km south of Hornsea lies the village of Mappleton. Supporting approximately 50 properties, the village has been subject to intense erosion at a rate of 2.0m per year, resulting in the access road being only 50m from the cliff edge at its closest point. 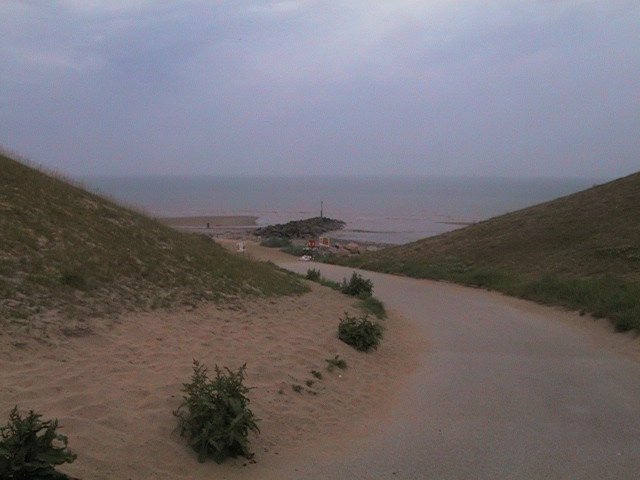 Mappleton is served by the B1242 which is the main road that connects settlements along the Holderness Coasts. Mappleton lies upon unconsolidated till. This is soft and erodes very easily. This material was deposited by glaciers during the last ice age 18,000 years ago. 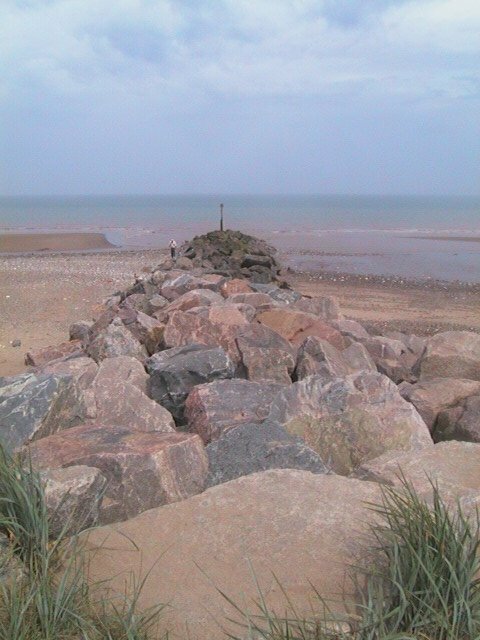 The two rock groynes at Mappleton have helped develop wide and steep sandy beaches. In 1991 almost £2 million was spent on two rock groynes and a rock revetment to protect Mappleton and the B1242 coastal road. Blocks of granite were imported from Norway for the sea defences. The purpose of the two rock groynes was to trap beach material. 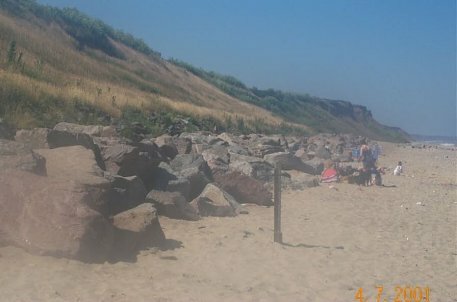 By retaining a wide, sandy beach between the stone groynes the sea would not be able to reach the base of the cliffs at Mappleton. 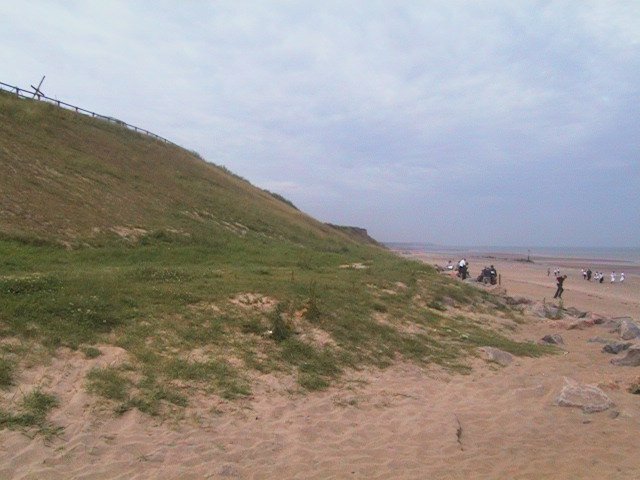 In addition to this the cliff between the two groynes has been stablised through landscaping and vegetation cover. 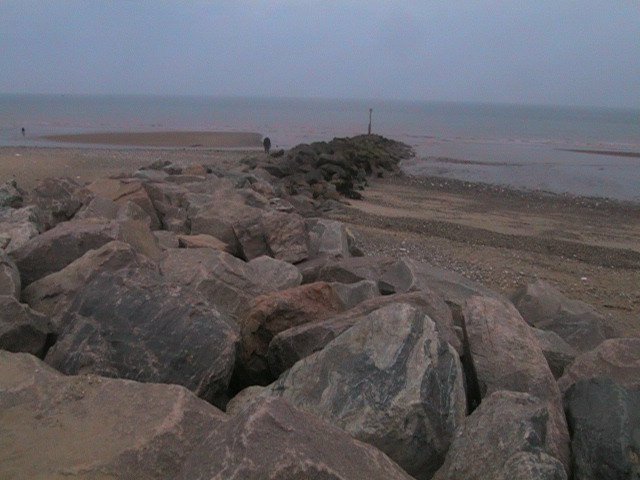 The coastal defences have been effective in reducing erosion between the two groynes. As the result of these coastal management strategies a substantial beach has been retained between the groynes halting erosion. However, further south the rate of erosion has increased significantly. This is because material which is being carried south is not being replaced (it is trapped within the groynes). Therefore there is no beach to protect the cliffs. Even during a neap tide ( a tide which is 30% less than the average tidal range) the sea reaches the base of the soft cliffs and erosion occurs. In August 2015 a large crack appeared in the top of the cliff to the south of the defennces. The video compilation shows this and other defences at Mappleton. Click the images below to see a larger version of each. PC users - To copy a picture place your cursor over the picture you want. Then right click and select copy. Then paste into your DTP or word processor package. Path leading to the beach at Mappleton. Path to the beach. 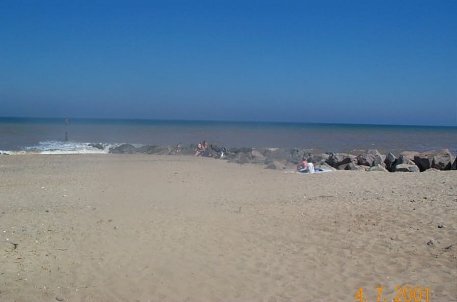 Note the stone groyne on the beach. 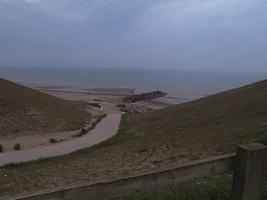 Cliffs to the right (south) of the stone groyne. Notice how the cliff is being eroded due to a lack of protection. 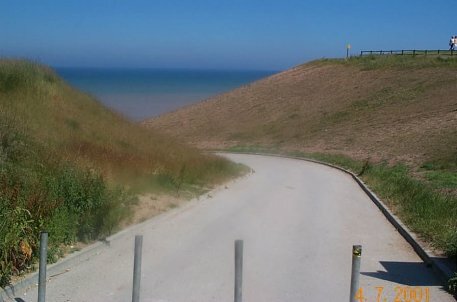 The video below shows a view of the sea defences of Mappleton. The camera pans from north to south. What changes do you see? You can view more Internet Geography videos on our video area.